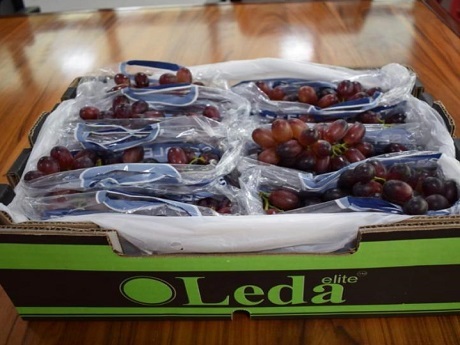 The level of competition in the global grape market is a factor mentioned by many South African grape traders this season, with Peru doubling their exports to Europe and India entering the market a bit earlier every year. The harvest has begun in the Hex and Berg River regions. The industry is hoping for better sizing in the Boland than in the Orange River and Namibia where, Nico says, there have been some sizing issues this season with a lot of regular calibres on certain varieties. Winter rainfall in the Boland was better than the previous few years, but the effect of the drought will surely still be evident. Assuming another good winter rainfall season, and the real bounceback will probably only be next season. Nico notes that prices in the European and UK markets seem to be modestly improving. Something else that South African traders also mention, is the improvement of Indian grape quality, the result of strong investments in the Indian grape industry. India is supplying steady volumes of white grapes (at a period when South Africa is moving towards predominantly red with the start of the Boland harvest) not only to Europe, but also to the Middle East and Russia. The Middle East was a bit undersupplied at the start of the season but large volumes of Indian grapes are now sold on open consignment there. South Africa’s northern regions weren’t able to fully capitalise on the marketing window before Chinese New Year, for a number of reasons including a late season, sizing and missed shipment dates. The US is more active than other years in Asian markets like Singapore, Malaysia, Vietnam and Thailand as a result of the US-China trade fracas. The US domestic market exerts a strong pull on its own production, which has created some opportunities in the Chinese market for the correct quality and calibre grape. 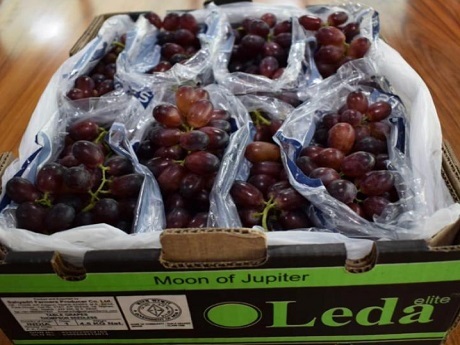 2019-04-23 "Sunshine Rose still most popular variety in Chinese grape market"
2019-04-03 "Chinese grape export suffered from extreme weather conditions last year"
2019-04-01 Spain: "First shipments of table grapes to China and Vietnam this summer"